the beautiful Mid Wales countryside on a working dairy farm. Replacement certificates, bilingual assessments and training are available on request. TFTF (2008) Ltd was founded in 2008 by Rob Evans who decided to utilise his knowledge from his agricultural background and diversify into plant training. We now have a number of experienced instructors who have worked in their specialised areas for many years. We offer quality, accredited training for the land based and construction industries in a friendly and practical environment, whilst providing safe and effective data history for all our courses so you don’t need to miss out on a renewal date again. If funding is available, we can help source it. We aim to give good honest advice to enable you to identify your training needs and make informed decisions about how to proceed with your requirements. Our training is tailored for both experienced operators needing refreshers to novice trainees requiring extensive training. We ensure that all the essential skills required in your particular industry are available to you and your workforce. We offer bespoke courses for businesses needing to train a team or individuals on our site or at your venue where possible. Are you stuck in a job you dislike, being made redundant or perhaps looking for a change of occupation? We can offer you the training and advice you need to launch into a new career. Training for the Future gives me the peace of mind that all my employees are trained up to the current legislative requirements. 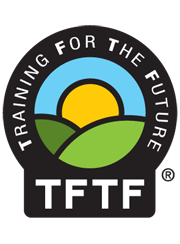 We would like to say quite simply that TFTF keeps us in line with our training, can always accommodate whatever training course is required. The Training For the Future team is friendly and efficient with knowledgeable instructors and a good variety of courses that fulfill all our training requirements. Great atmosphere and facilities. Well run courses that are a pleasure to attend.